Twitch is all aboard the Overwatch League train, which makes sense, considering that the streaming service reportedly paid $US90 million ($115 million) for a ticket. Now it's offering Overwatch players incentives to tune in. Today Twitch announced that, in collaboration with Blizzard, it's gonna start offering in-game rewards to Overwatch League viewers. If you link your Battle.net account with your Twitch account, you'll be able to earn League Tokens - which are a special Overwatch currency that you can use to buy OWL character skins, as opposed to regular skins - by watching. Each completed map you view live will grant you one League Token, and "a percentage of viewers" who see the final map of a broadcast will score 100 League Tokens, aka enough to buy one skin. It's a canny move, given that viewership tends to fluctuate and, sometimes, drop off over the course of OWL broadcasts, especially when the final match isn't meaningful. While the above option is also available on MLG and Overwatch League's website, Twitch will be the only place that lets you "cheer" with "bits" in order to unlock "content." Bits are a for-purchase currency on Twitch that allow you to cheer for streamers in chat and, in effect, toss a few coins into their cup. 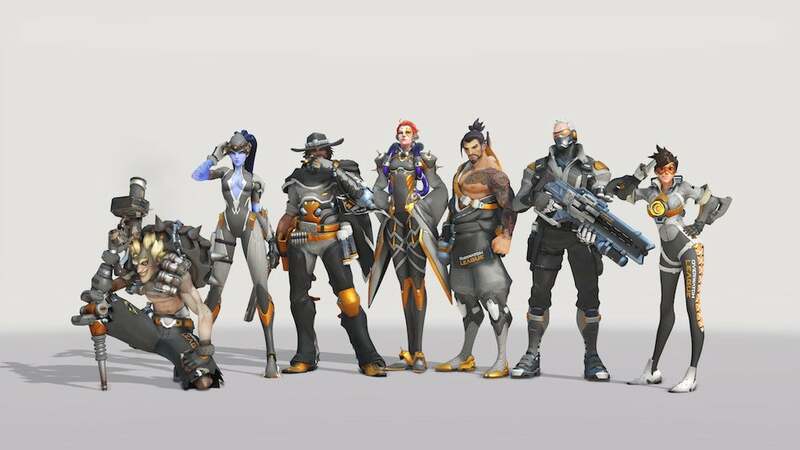 Soon, you'll be able to cheer on Overwatch League teams and earn "in-game hero skins that will be exclusive for a period of time, as well as emotes and team-branded items" in the process. There will also be a leaderboard to track the top cheerers, because Twitch loves gamifying everything, and I doubt they mind that gamifying team-based tribalism will earn them money. So..just leave the computer running with twitch open/muted for easy in game points? The latest twitch android update is the worst, you get constant notices for crap you aren't even subscribed to. Sorry Twitch, never been big on watching other people play games...and then even giving them cash to do it. "GET OFF MY LAWN YOU DAMN KIDS!!" This is pretty much just sport and merchandising. Except real life sport doesn't give you anything purely for watching. And no, I don't want to hear the history of the Doily theatre company. Only live? thats a bit rubbish. I watch all the games but after the fact. Hang on doesnt the 'bits' cost money to unlock? so to get the cool stuff it costs real money? The bits do cost money. Which makes this the 3rd.. 4th paywall in Overwatch alone? I lost count. And the Bits only get you emotes to use in Twitch chat. They also contribute towards unlocking skins for everyone, but the only thing you get from your purchase of Bits is Twitch emotes. Yep. A very important fact that this article completely ignored. Twitch viewership awards aren't available to Australian residents. New Zealanders are eligible, but Australians aren't. *At this time, viewership awards are available only in Argentina, Canada, Chile, Denmark, France, Germany, New Zealand, Norway, Saudi Arabia, South Korea, Spain, Sweden, Switzerland, Taiwan, United Kingdom and United States. Aussies could just use a US VPN to watch. I heard it's based off of your Battlenet residency and you need photo ID to change it.